High school sports have rapidly become more prevalent over the past decade, especially in regards to high school basketball. Some youth spend their adolescent years participating in traveling AAU basketball programs only to become pseudo-celebrities once they reach the high school athletic level. Still, one of the ultimate milestones as a high school basketball player is to be selected to Jordan Brand Classic. The Jordan Brand Classic's first inaugural year took place in 2002 and since then has had elite talent and an alumni roster of players. The roster has included Kevin Durant, Blake Griffin, Kyrie Irving, Lebron James, Chris Paul, and Carmelo Anthony, whose son is now an official alumnus of the legendary high school basketball exhibition match. The 17th annual Jordan Brand Classic officially revealed their 26-man roster today, 16 of which were inducted in USA TODAY's Chosen 25 boys basketball rankings. Some of the most notable high school talents participating in this year's festivities include Carmelo Anthony's seed, number one ranked, Cole Anthony, Nico Mannion (No. 15), Anthony Edwards (No. 2), and Jalen Lecque. 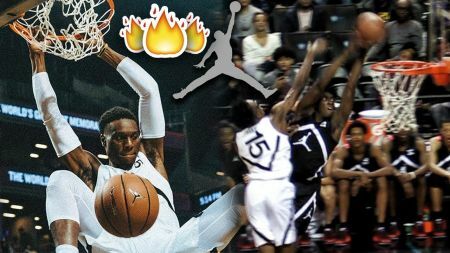 Five of the high school players participating in the 2019 Jordan Brand Classic have yet to select a collegiate institution to display their athletic abilities. Those players include Jaden McDaniels, Cassius Stanley, Trendon Watford, Keion Brooks, and Cole Anthony. Duke has the most recruitees playing this year's Jordan Brand Classic with a total of three athletes including Vernon Carey Jr., Wendell Moore, and Rejean 'Boogie' Ellis. Both Memphis (D.J. Jeffries, James Wiseman) and Kentucky (Tyrese Maxey, Kahlil Whitney) have two signees apiece. The full roster list can be viewed in the Tweet by the National Recruiting Director of ESPN, Paul Biancardi, below. Also, be sure to get your tickets to the 2019 17th annual Jordan Brand Classic taking place at the T-Mobile Arena in Las Vegas, Nevada on April 20 at 3 p.m. local time (Tickets). Tickets for the 2019 Jordan Brand Classic can be purchased, here. Check out the highlights from last year's Jordan Brand Classic where Emmit Williams scored a total of 44 points breaking Lebron James' Jordan Brand Classic scoring record in the video provided above. 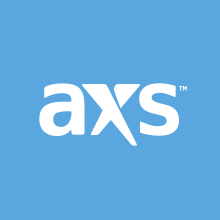 And, stick with AXS for tickets to the hottest entertainers in concert, live shows, sporting events, festivals, and more.